Google could be the world’s first trillion dollar company. It would have to start being more transparent about its other bets to make that happen, though, according to Morgan Stanley analyst Brian Nowak. Watch Google’s parent company Alphabet trade in real time here. Google isn’t just a search engine anymore. In fact, the company is now so diversified and eclectic that it renamed itself Alphabet, and almost has too many divisions to keep track of. If Google, and its parent Alphabet, would provide more details about how its vast array of businesses are doing, it could be the world’s first trillion dollar company, according to Brian Nowak, an analyst at Morgan Stanley. Alphabet’s current market cap sits around $US726.07 billion. Google represents about $US410 billion of that, Nowak estimates. YouTube is worth about $US160 billion, bringing the total to $US570. Add an estimated $US45 billion of value for Google’s Cloud platform, and about $US75 billion for its self-driving car efforts at Waymo and you end up with about $US690 billion of market cap, according to Nowak. That leaves just $US36 billion of value for Alphabet’s other assets, like Google Fiber, Google Play, Verily, DeepMind, X, venture capital units, and hardware units. Nowak says $US36 billion of value is too little for those assets. At Nowak’s valuations, Alphabet should be worth $US978 billion and would have no problem growing its business to the $US1 trillion mark. Now, Nowak doesn’t think Google will start breaking out its financials by each of these divisions any time soon, which locks away value, according to Nowak. Because of that, Morgan Stanley’s price target is currently $US1,200. Morgan Stanley rates the company a buy. 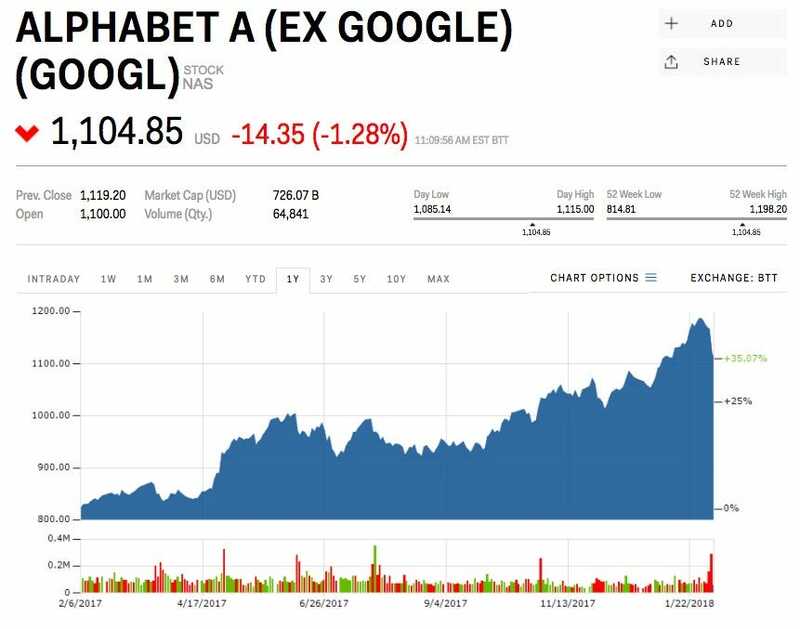 Alphabet is up 2.36% this year. Read more about how Google’s cloud business is trying to usurp Amazon. This article was originally published by Markets Insider. Read the original here.